Before attending McGill University, the enormity of the McLennan-Redpath Library Complex struck me. My first steps into the library were both timid and excited. Whether you are going to the library to work on a group assignment, cram for an exam, or to pick up a book, the atmosphere of knowledge is palpable. Sure, the current picture of the library is far from ideal—in particular, McLennan-Redpath is striking in its brutalist concrete squareness—but, it remains the knowledge centre of the university. Across Canada, university campuses are modernizing. Laptops replace notebooks, lectures are recorded and posted online, and courses are taught remotely through Skype and Google Hangout. Students no longer need to use libraries to have access to thousands of articles and documents. In this context, the plans for upgrading the library seem par to the course. The needs of students have changed since 1969 (the year that McLennan was built), and are even more different from the needs of 1893 (the year that the first Redpath library was built). Redpath extension opened (doubled stack capacity). The most recent stage in the transformation of McGill’s libraries is the development of the Fiat Lux plan, which calls for the construction of a library fit for the 21st century. Fiat Lux, meaning “Let there be light,” is organized into three phases: The first part will strip back the 1950s addition to Redpath Library, replacing it with open spaces and glass enclosure, and revealing the original Georgian walls; phase two will be the construction of an Automatic Storage and Retrieval System (AS/RS) beneath Lower Field; and the final stage will be the renovation of the McLennan building. An AS/RS is a computer-controlled system for the retrieval and placement of items. It will reduce storage space while improving the accuracy of information on books. In regards to the timeline for phase one of this project, Colleen Cook, the Trenholme Dean of Libraries, said that it would realistically take five years. The sheer volume of texts that McGill possesses pales in comparison to what can be made available online. Building the AS/RS will alleviate the storage constraints, but cannot equal the potential of the Internet. But to regard Fiat Lux as the inevitable manifestation of modernity ignores the flexible reality of the library as it is today, and as it ought to be in the future. Until her second year at McGill, Eve Kraicer, U2 Cultural Studies, mainly used the library as a study space. Kraicer explained how she has come to appreciate the place of books in the library after finding the Canadian literature collection on the fifth floor. 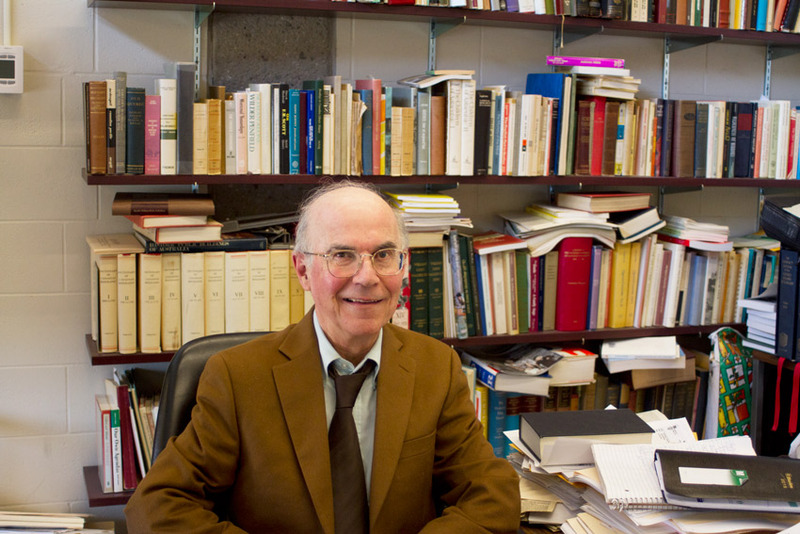 As director of the History of McGill Project, Peter McNally has documented the history of McGill libraries since the university was founded. In discussing the digitization of texts and future potential of the AS/RS system, he offered a creative compromise that would add features of a bookshelf to digital platforms. “It’s nice to go on the shelves and to scan your eye across, but then the next thing is to make sure that we have electronic systems that permit us to scan electronically […] should be able to see in terms of classification, what are the books that fit on the shelves above and shelves below, and maybe press a button to open the pages and start looking around a bit,” McNally said. Books are at the centre of a library—just consider the etymology of the word library. Many students use the physical texts packed into the open stacks, and there is a pleasure in taking a book off its shelf and leafing through the pages. It is like tapping a spile into the tree of knowledge; one hopes to glean something sweet from the pages. According to McNally, the quality of a university is reflected in its library, a repository for the collective human memory. Whether this sense is lost as texts are digitized is up for debate. As the idea of what a university is shifts, the role of the library becomes uncertain. Is it a place for students to meet, which should therefore be mainly devoted to providing top of the line technology and plenty of study space? Or, is it still a space for quiet diligence? The way forward is likely a compromise between these two poles. When considering the value of the library as a physical space, at least, it is essential to understand the purpose of texts. Though the role of texts is not irreconcilable from the space of the library, there must be a balance between rapid modernization, digitization, and reduction in the presence of books within a library and retaining the need for books. Montreal has plenty of cafés to study in, yet students still flock to the library, making it hard to find a seat during exams. Part of this is because libraries offer versatile spaces for all students. If you prefer silence, the sixth floor is the place to be; if you want more sunlight, Blackader-Lauterman offers an open-plan alternative to the main McLennan building; and if you need to work in a group, you may book a room or search for a table in Redpath. While this versatility may account for some of the conscious rationale for studying at the library, the unconscious factors are perhaps more significant. This atmosphere of “serious intent” cannot be divorced from the tactile presence of books. “Books in a library can, in many ways, be seen as containers in which [human] knowledge is perpetuated over time,” McNally said. As books are digitized and stored outside of the space used by students, spaces where students can interact with physical texts ought to become more valuable. The Rare Books library is such a location—it is a key space for research and teaching. The space has a scholarly atmosphere that stands in sharp contrast to images of an ivory tower. Unlike the other floors of the library, the working space is not dominated by students seated in carrels, in various states of consciousness. Instead, several small tables occupy the centre of the main space,used by individuals and groups, working in hushed tones. The staff is approachable and knowledgeable. Throughout is an air of reverence, partially for the texts, as well as for the atmosphere. According to Dr. Richard Virr, head of Rare Books and Special Collections, the collection currently numbers at around 700,000 volumes—and counting. Part of the purpose of Rare Books is to continue to collect texts that contribute to its areas of specialty, in particular Canadiana. It is also the beneficiary of generous contributions, such as the most recent donation that enabled the collection to acquire various Voltaire texts and editions. Virr has been working in the McGill library system since 1984. For him, it is important to note the changes in the growth of the collection and how Rare Books interacts with faculty and students. Though Virr and I were seated in a room adjacent to the main reading space, most of the tables were occupied either by single researchers or by people collaborating over a single text. It is not necessary to whisper in Rare Books, but all who go there clearly respect the space and the texts. It would be hard to witness similar devotion towards an e-book. Kraicer, who has been to Rare Books for class, noted that what makes the space so special is how it is different from the rest of the library. “There’s that weird temporal quality about it where you kind of feel like you’re going back in time, because you’re able to physically interact with a completely different era,” she said. Matthew Buyachek, a Master’s student in the Department of English, uses Rare Books and Special Collections for various projects, like the creation of a critical edition of a work of John Lydgate. 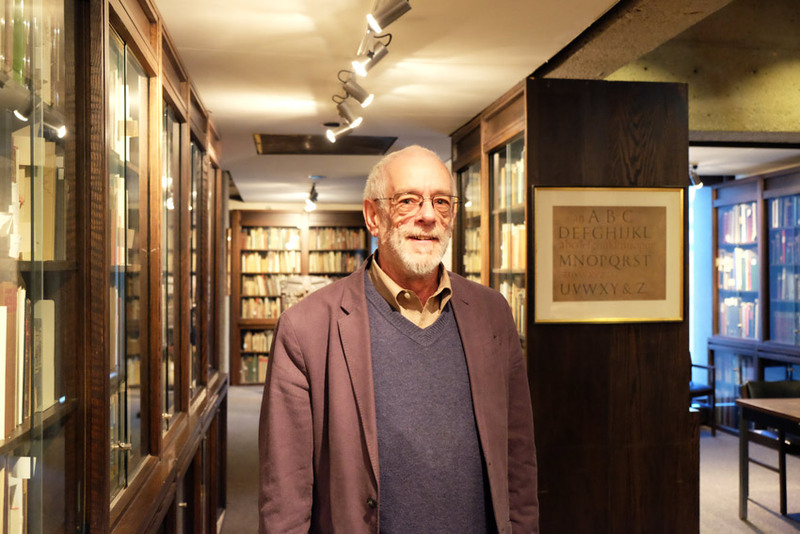 “When I first came here I was very much a modernist and not someone who would ever need to go into Rare Books,” he said. After some time, Buyachek found that his passion lay in medieval studies. Since then, he uses the space regularly. Staff of the Rare Books Library also take special care to ensure that the space is accessible. In addition to efforts of library staff, faculty members are pushing for more engagement with the Rare Books library. As Director of McGill Medievalists Research Group, Professor Michael Van Dussen has worked to increase the McGill community’s engagement with old texts housed by both the McLennan Rare Books Library and the Osler Library. By hosting annual rare books workshops and teaching courses, such as ENGL 346: Materiality and Sociology of the Text, Van Dussen is familiar with the extent of the functionality of the Rare Books Library. The Colgate Room, though not designed to seat more than 40 people, is conducive to intimate workshops and classes. Texts are often displayed along the expansive central table so that students can move about, opening the texts (delicately! ), and coming to terms with how many hands it has passed through over the centuries. Buyachek uses the Rare Books Library for his own research as well as classes. “As a learning space it’s really nice and conducive, albeit [...] my class size is six students, which is great for the Colgate Room,” said Buyachek. Kraicer, who has used the space as part of a class, said she would likely not have gone there otherwise. Students often overlook the Rare Books and Special Collections on the fourth floor of McLennan; however, the value of the space is linked to the use of the physical texts. For teachers and students, it must remain an accessible space that is the exception to the trend towards digitization.